BORACAY ISLANDS, AKLAN – Summer has officially arrived and the 16th NESTEA Beach brought the coolest summer experience ever to the pristine sands of Boracay. For over 30 years, NESTEA has made itself synonymous to a different kind of refreshment—one that encourages a fun, healthy and active lifestyle for young adults. 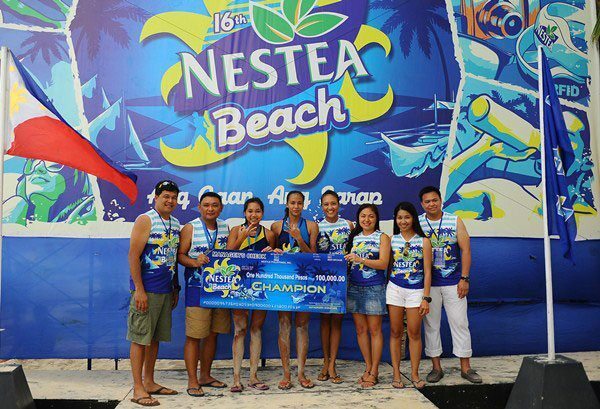 Driven to give more excitement to its consumers, the NESTEA Beach Fest was born. 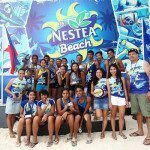 Now on its 16th year, NESTEA Beach continues to deliver the light and refreshing goodness of the NESTEA brand with the ultimate Ang Gaan, Ang Sarap summer experience. 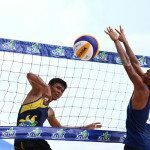 After two sensational elimination legs and exciting beach activities in Cebu and Batangas, the 16th NESTEA Beach culminated with even bigger games and more thrilling events in the Boracay Islands on April 18 to 20. 24 of the best teams from Luzon, Visayas, Mindanao and NCR faced off in the men’s and women’s division and competed for the championship crown. Beyond the fierce competition were fun beach activities such as paraw sailing, free volley games and massages, RFID and wifi access for easy online sharing and beach clean-ups in partnership with Boracay Foundation. 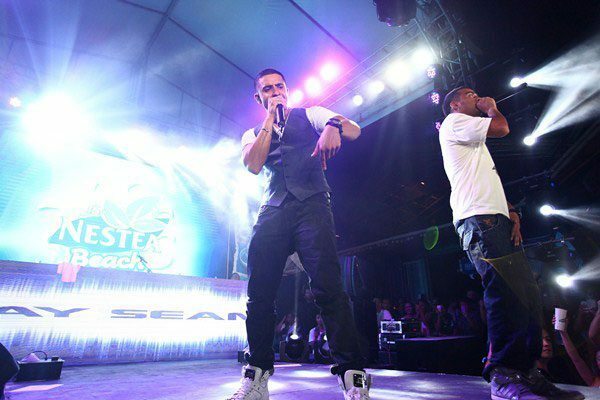 As the sun set, the night life of Boracay sizzled with back-to-back parties with the Metro’s hippest radio stations and the much-anticipated 16th NESTEA Beach Victory Party in Club Paraw on April 20 that featured no less than international singer-songwriter and rapper Jay Sean and today’s hottest DJs. Fearsome volleys were exchanged between Central Philippine University (CPU) and University of Santo Tomas (UST) as they battled under the crisp heat of the sun for the women’s division title. Fiola Mae Ceballos and Jovelyn Gonzaga, were matched blow by blow by the determined duo of Maruja Banaticla and Judy Caballejo from UST. During the first set, CPU clearly had the advantage as their powerful strikes took them to an early lead. But UST’s strong defense kept the game at a close 20-22. Fiola and Jovelyn hit back harder and stronger and with their dynamic teamwork, they soared through the second set, winning the women’s division title at 22-20, 21-18. “It is an honor to be part of the NESTEA Beach. We’re very happy to be given the chance to compete with schools from all over the country, especially those from UAAP. All our hard work paid off and it’s great pride to bring home the NESTEA Beach championship crown.” Jovelyn Gonzaga of Central Philippines University-Iloilo said in an interview. Fierce competition erupted at the men’s division finals when Jade Becaldo and Mike Abria from University of Visayas (UV) went head to head against Jade Illut and Jason Uy from University of San Jose Recoletor (USJR). Crowd favorites Jade and Mike performed a series of stunning plays that took USJR by surprise and gained the upper hand with 28-26 on the first set. UV continued raining down intense strikes and eventually overpowered USJR to gain the championship title after the second set with 21-12. For the first time, NESTEA Beach is hosting back-to-back-to-back beach parties with some of the hippest radio stations in the country. From sunset to midnight, the sands of Boracay came alive with non-stop parties. Capturing the sizzling hot nights with pumping music and exceptional tascam gb-10 were the Jam Illumina Party at Summer Place on April 18, Play FM and Island Rhythm at Club Epic on April 19, RX Summer Fling at Club Epic on April 20. The much-awaited 16th NESTEA Beach Victory Party at Club Paraw stole the scene on April 20 as it was headlined by the coolest act of the night. 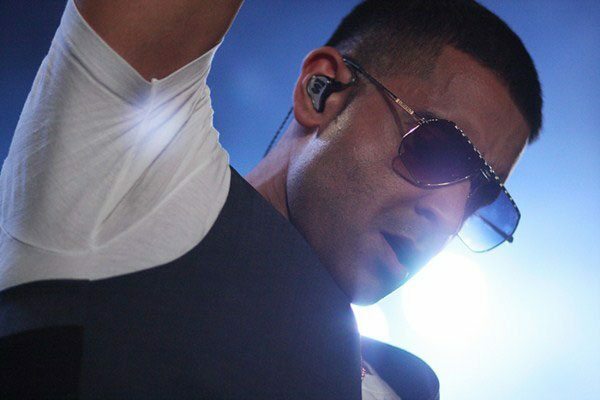 International sing-songwriter and rapper Jay Sean surprised the crowd and set the tone for the ultimate summer experience. The British-Indian superstar topped off the 16th NESTEA Beach victory party with his chart-topping beats for a one-night only performance. NESTEA Beach also invited some of the best DJs in the country to party with victors and guests, such as the Zombettes, Callum David, Mars Miranda, Funk Avy and Martin Pulgar. Also part of the victory party in Boracay was the Converse Fashion Show where the beautiful and statuesque models strut their way down the runway in stylish outfit designed to fit the edgy footwear. 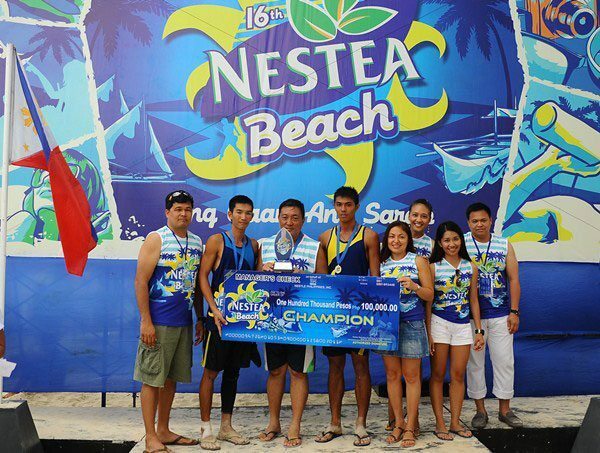 NESTEA Beach has grown in leaps and bounds, into more than a sporting event. 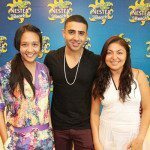 This year, NESTEA has prepared a line of fun and exciting activities for those who are young and young at heart to enjoy. 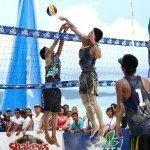 Spectators were invited to join the beach action such as paraw sailing, photo-booths, beach volley games, and free massages with every purchase of NESTEA Pitcher products. NESTEA Beach also brought back the RFID tags and wifi-booths so that consumers could access their social media to share and tweet their experiences on the beach, anytime, anywhere. Throughout the entire event, consumers could relax and cool-off with the free-flowing, delicious and refreshing taste of the newest NESTEA flavor, the NESTEA Honeyblend. 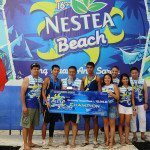 Beyond the thrilling activities, NESTEA Beach has evolved with an advocacy. 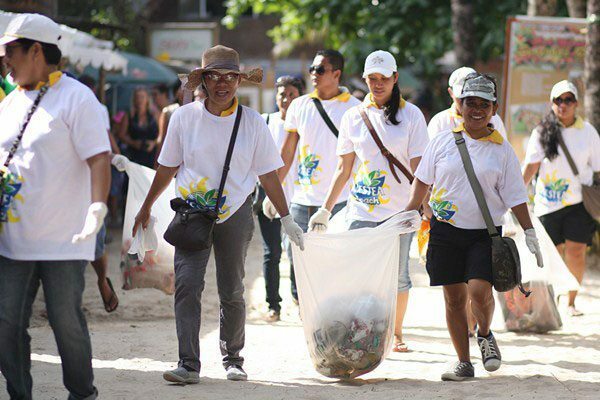 In partnership with the Boracay Foundation, NESTEA rallied hundreds of volunteers—athletes, spectators and NESTEA partners alike—into giving back to beach that has been the home of the event for the past 16 years. 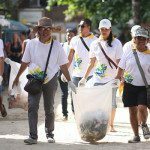 On the early hours of the morning, volunteers scattered across the Boracay shoreline and participated in a massive beach clean-up to restore the sands to its world-famous beauty. 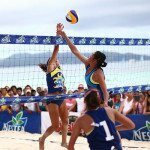 NESTEA Beach promises to be bigger and better each year, growing with more participants, tougher competition and more thrilling activities that ever before. It will continue to offer the light and refreshing experience of the NESTEA brand and the active and healthy lifestyle of NESTEA Beach. If you enjoyed this year’s NESTEA Beach Fest, we can’t wait to show you what’s in store next year. 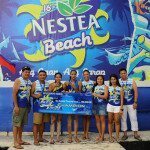 NESTEA Beach would like to acknowledge its partners: Mikasa, the Official Game Ball of the 16th NESTEA Beach; Crystal Sand Boracay Beach Resort, the Official Home of the 16th Nestea Beach; La Carmela De Boracay Resort Hotel, the Official Home of the 16th Nestea Beach Finalists; Acuaverde Beach Resort, the Official Home of the 16th NESTEA Beach Luzon Delegates in Batangas; Converse, the Official Fashion Source of the 16th Nestea Beach and Travel Factor, NESTEA’s official travel partner of the 16th Nestea Beach and Shakey’s.